Ashleigh Nash describes her award winning night. 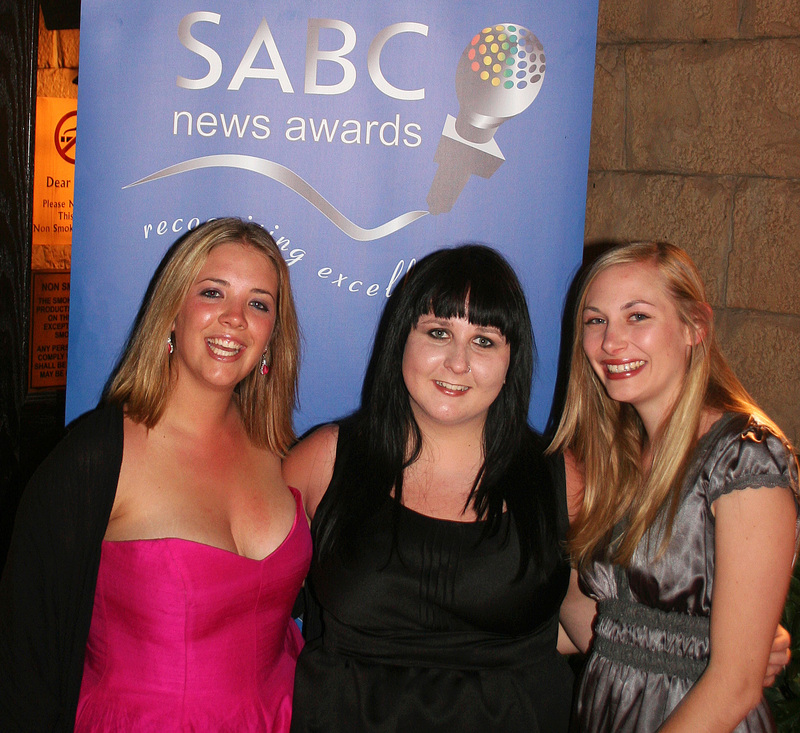 The annual SABC News Awards were held at Sun City in the North West province on Saturday, 13 September. As a nominee in the student category of ‘TV Current Affairs’ I was lucky enough to be invited to represent the Rhodes Journalism TV department and my crew for the weekend. Rhodes Journalism had a strong presence at the awards with two of my television classmates nominated in the same category. From the moment we arrived, we felt like celebrities, having our own rooms and a personal chauffeur. The fact that this was a golf cart driver whom we paid to drive us a mere 1km made no difference. We were queens of the Lost City, where we found our childhood again by making waves on the lazy river and screaming down the dark tarantula slide. Although our time was interspersed with a rehearsal and a run though of the event, we had to admit that the awards were the reason we were there! When Saturday evening came around, we walked the red carpet in style, with cameras flashing and a televised banquet awaiting. The SABC went out of their way to make their nominees feel special. When you look at the statistics, it is only apt to feel proud of one’s nomination. This year there were more than 500 entries and only 42 finalists chosen. Categories ranged from camera personnel and video editors to producers and presenters of current affairs shows and news bulletins. The student section, introduced in 2007, included 3 categories for radio and one for television. I was convinced that one of my other classmates would win. In fact, when our category finally came around, I had not even watched how the other winners had walked onto stage. I was anything but nervous. Suddenly, I felt the massive spotlight moving towards me and my crew’s name being called, “and the winner is FAB Productions, represented by Ashleigh Nash”. I was in absolute shock and I felt as though I had stolen the Oscar from Charlize Theron! I gathered myself, accepted the award and proceeded to make a speech. The rest of the night was filled with photos, congratulations and a little schmoozing. It was a moment that I will treasure for the rest of my life. I think that these awards are a great platform for student journalism, especially as you are treated equally to the SABC’s own staff. Most importantly, of course, to actually have your work seen and admired is the biggest victory. Our documentary, ‘Food Crisis’, highlights the extent of the global economic crisis and how the majority of South Africans are now living below the absolute poverty line. For seasoned journalists and judges to see the relevance in this is an honour and a testament to Rhodes journalism. SABC Group Executive of News and Current Affairs, Dr Snuki Zikalala, was impressed with the amount of student entries this year. He also expressed his joy at the quality of the work submitted saying, “This year’s entries seriously challenged our panel of judges. The respective winners are truly deserving of their accolades, having faced some very tough competition”. This remark corresponded to the event’s mandate of ‘rewarding excellence’. Second year Rhodes journalism student, Nontobeko Sibisi, also won in her category ‘Presenter Radio News’. Each category winner was given a trophy and R10 000 from the SABC. This entry was posted on Wednesday, September 10th, 2008 at 5:57 pm	and is filed under , 2008. You can follow any responses to this entry through the RSS 2.0 feed. You can leave a response, or trackback from your own site.